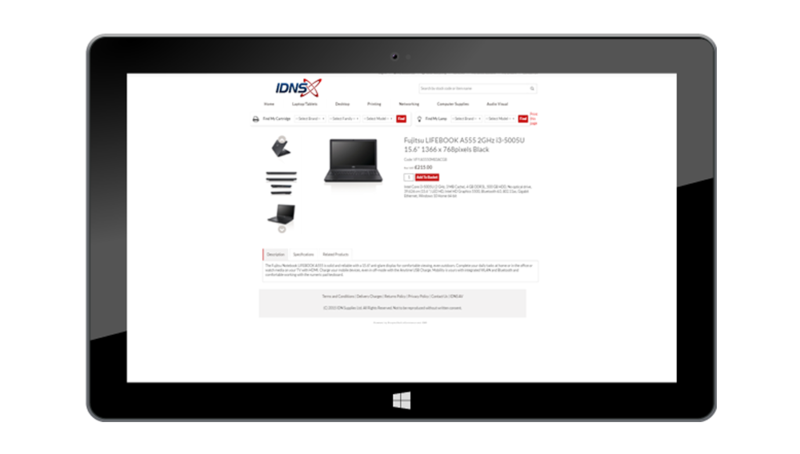 IDNS is one of the UK’s leading suppliers & integrators of ICT products, providing ICT hardware such as PCs, laptops, tablets and printers. Logged in users can buy a range of high quality, globally recognised brands such as HP and Apple. One key adaptability made for their site is the ‘find my cartridge’ filter, where users can conduct a detailed search to find the correct cartridge quickly.